For more information on how to use Gro-Veg™ for optimum performance click here. The renaissance of vegetable gardening in our age of convenience means that the gardener wants a planting soil that is ready to plant and yield healthy food. We have added sufficient organic fertilizer to feed the veggie garden for tomatoes, and that covers most of the rest. Gro-Veg® is a medium heavy soil because the ideal market garden soil contains mineral soil to help plants uptake micronutrients that add to the nutritional value of any crop. This complete soil is ready to be added directly to raised beds and large containers when a market garden is being established. 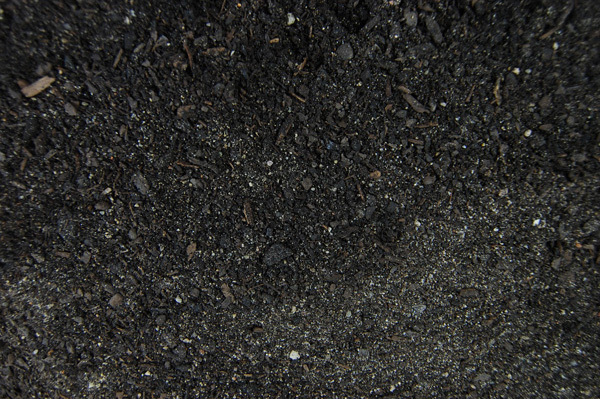 To help prepare the whole vegetable garden area for each new season, a 4” layer of LiveMulch® Terroir Blend applied in the spring will provide enough nutrient for a fall harvest, and weed control through the summer.